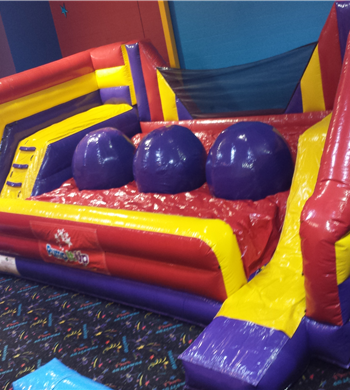 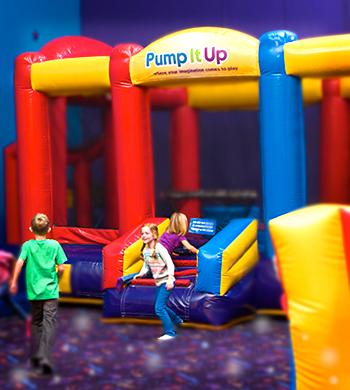 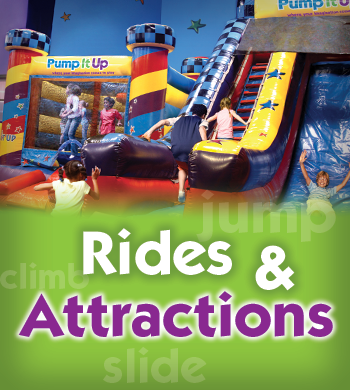 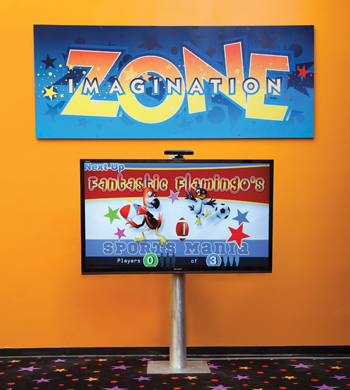 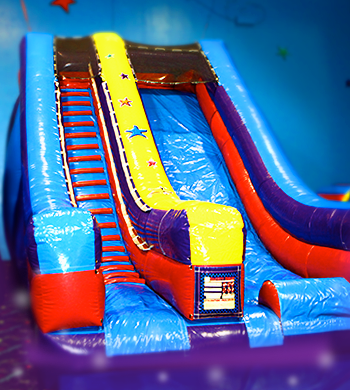 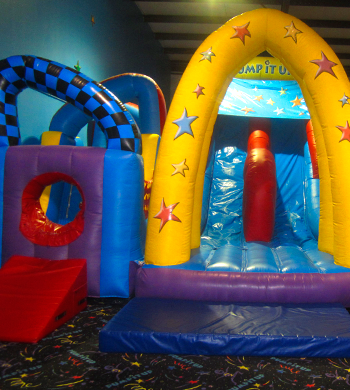 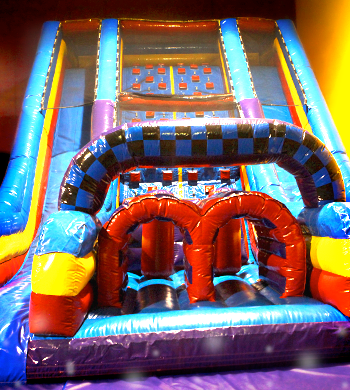 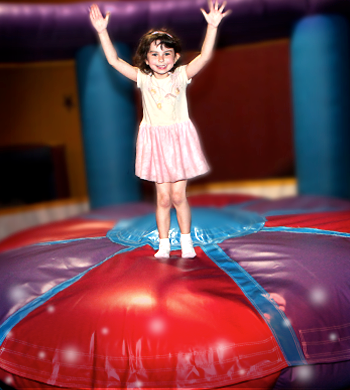 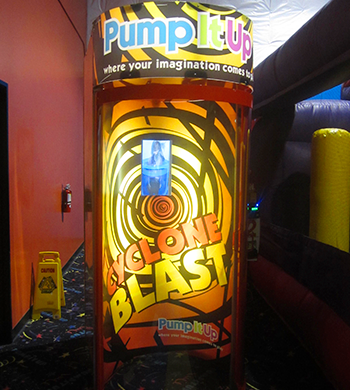 Kids love racing through this chaotic obstacle course and sliding to the finish line! 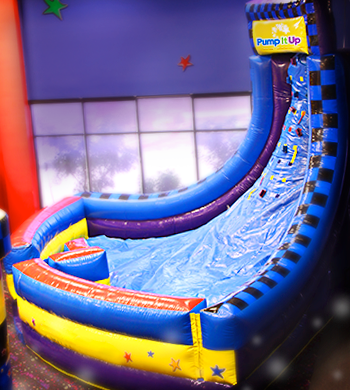 Kids love sliding down the giant 20 foot slide! 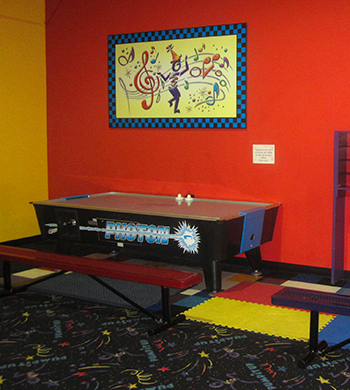 Air hockey is available in both arenas.